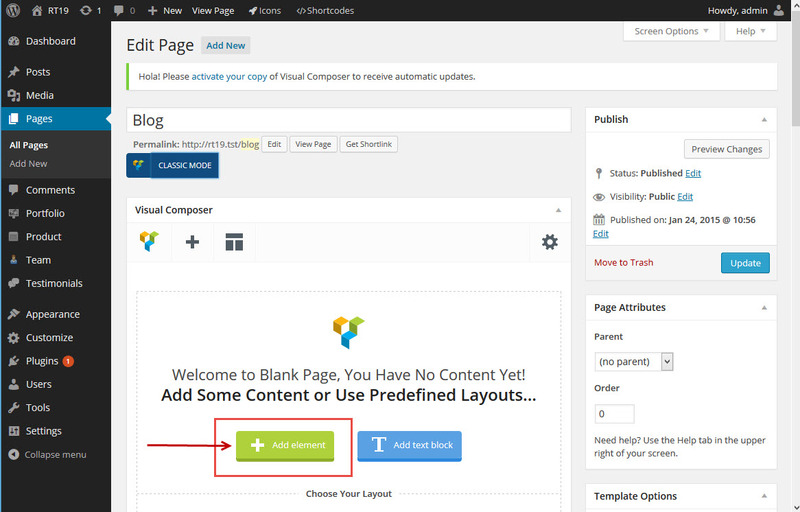 Then in the popup window choose the RT-Theme’s Blog Post element. After Choosing That element a new window will popup with settings you can adjust for the chosen element. 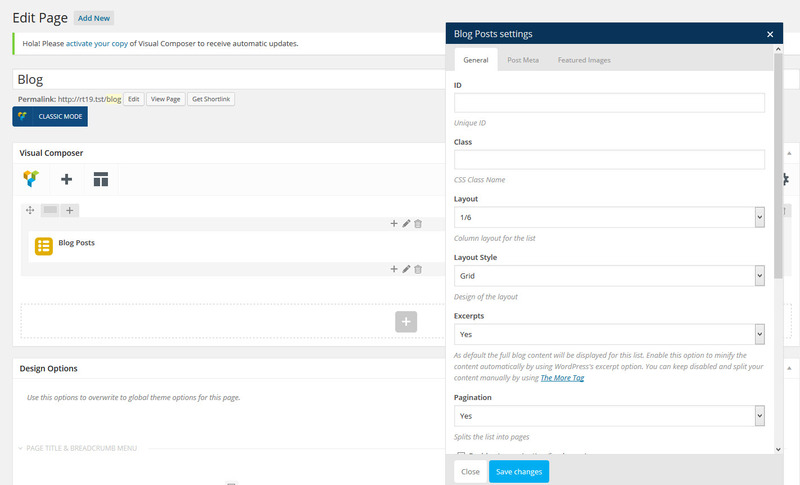 Creating a Page as a Blog Listing Page using the RT-Theme’s Blog Shortcode. 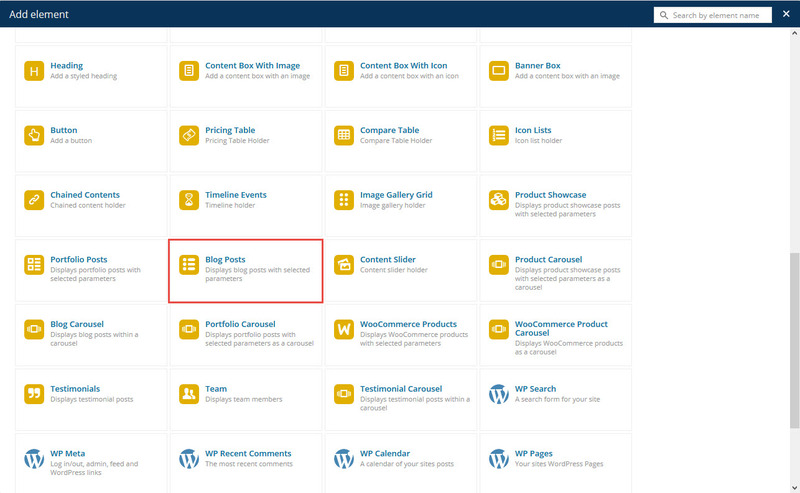 You can do the same thing without using Visual Composer. 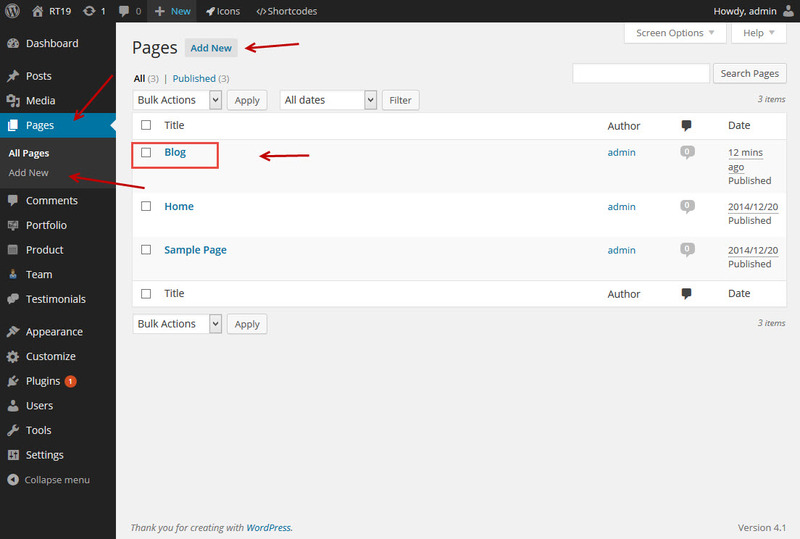 All you need to do create a page and add “Blog Lists” shortcode of the theme. Please check the Shortcodes section to learn more about the shortcodes.